you to become a home growing master. this data to replicate the quality! setup and integration into specialty equipment. 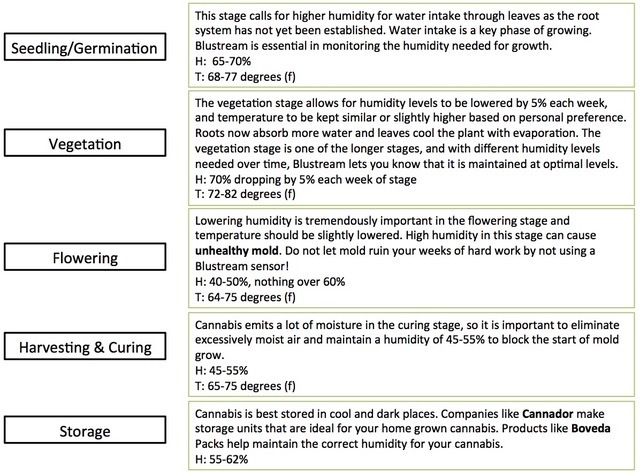 Have you ever spent weeks meticulously growing your cannabis only to have bud rot or mildew erase your hard work? 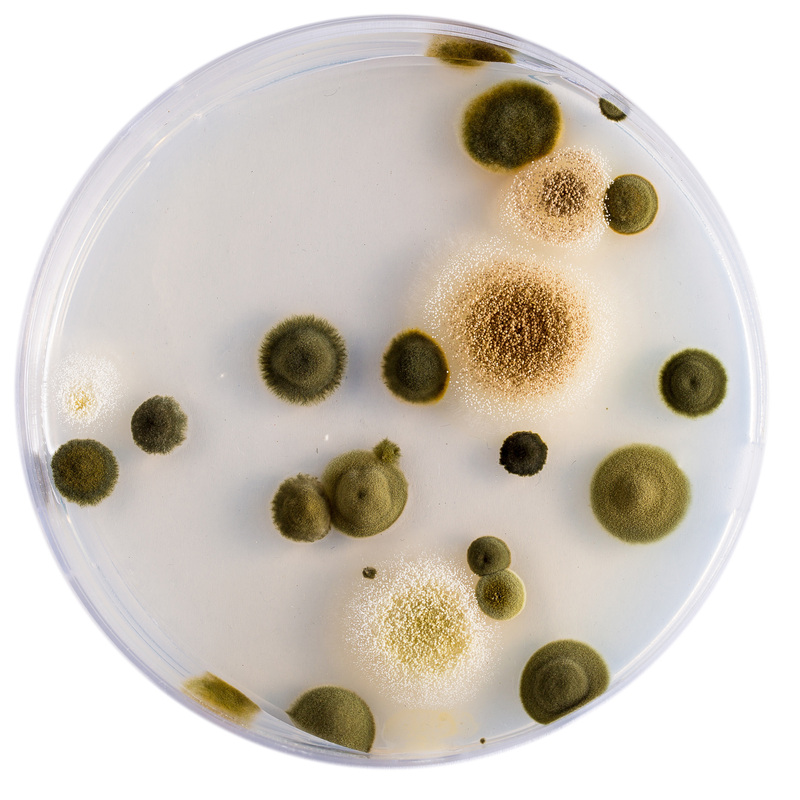 High humidity, especially when combined with high temperature, creates an ideal environment for mold & mildew to grow. 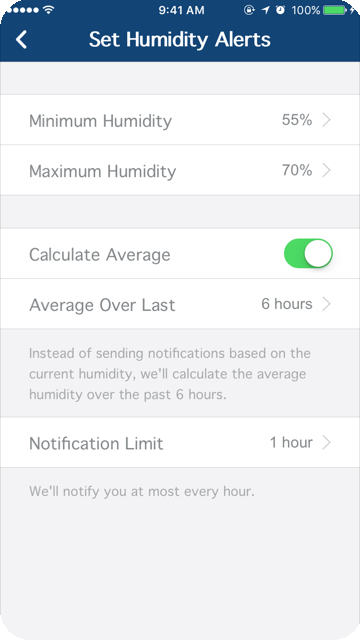 You can receive notifications when these kinds of conditions arise, and take steps to fix them. Blustream’s sensors are small enough to fit in a curing jar, yet powerful enough to use in larger grow environments like closets or tents. Simply place and pair a Blustream sensor in each growing environment. 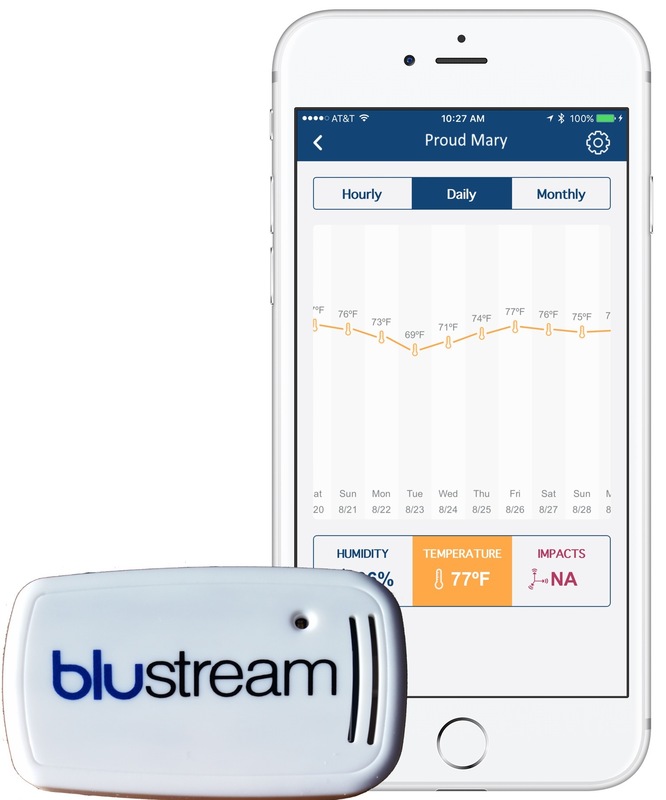 Blustream displays simple, easy to read temperature and humidity data, and powerful alerts and notifications to protect your RV from damage and the health of any pets you bring along! 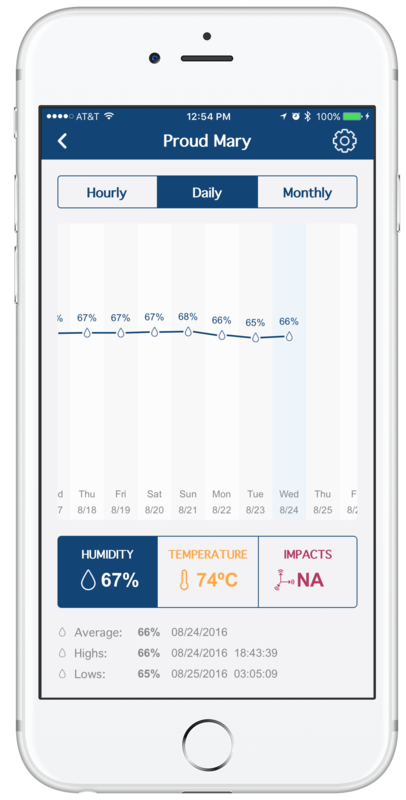 Refer to your home growing resources, and our information here, to set environmental parameters that allow for ideal growth through all stages.